Last Saturday I had the opportunity to photograph noted civil rights attorney Fred D. Gray. He was in Washington, DC to attend the funeral of his sister Pearl Gray Daniels, a retired educator and member of the church where I attended for a number of years. 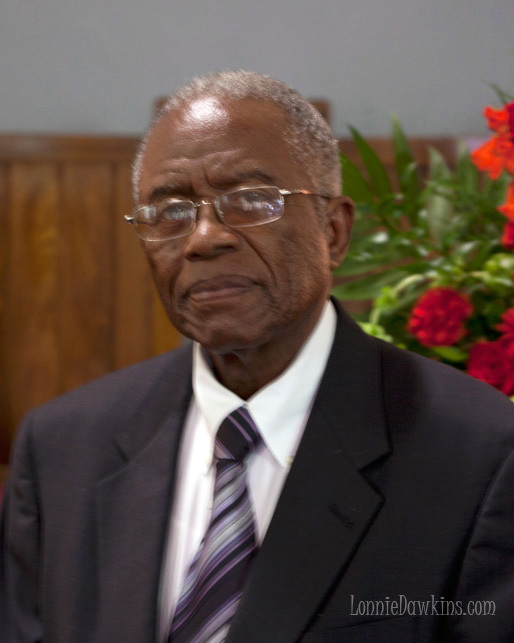 Well known for having been the attorney for Rosa Parks, Dr. Martin Luther King, Jr., the Montgomery Bus Boycott, the Freedom Riders and more, Brother Gray is just as well-known by many in the Church of Christ as being an outstanding minister. He served as minister for the Holt Street Church of Christ in Montgomery, AL and other congregations at the same time he was making history as an attorney. I am a photographer and when I learned that he was going to deliver the eulogy I made sure to bring a camera. I did not bring a flash or accessories as I was not sure if I would be able to take any pictures and I wanted to be discrete. After the service I asked him for permission to take his picture and he was very gracious. Next I took a picture of him and the minister – G. A. Freeman. Then to my total delight I was asked to take a picture of his family. I did so and it came out ok but I am still wishing I had taken my flash. 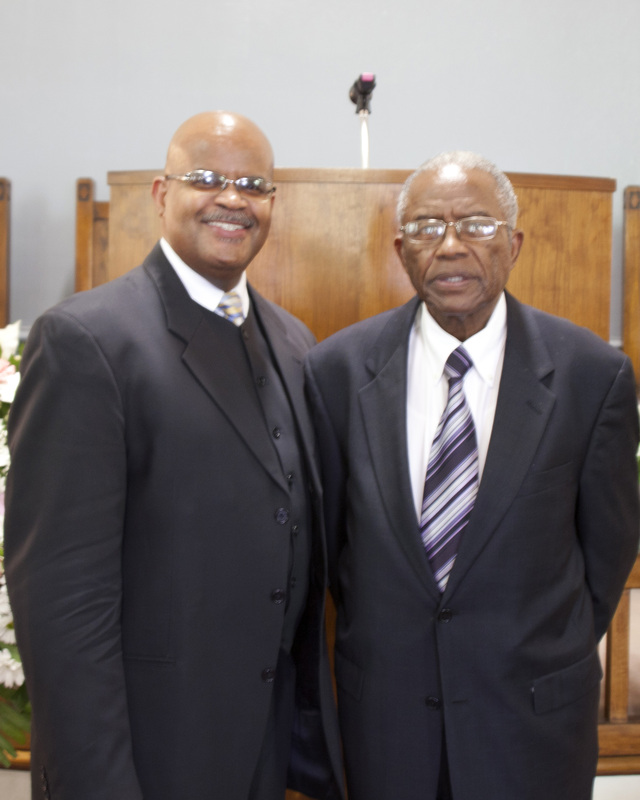 I will treasure this picture of Fred Gray and I hope that we are passing along to our children the history of outstanding contributions to both our country and our churches by people like minister and attorney Fred D. Gray. This entry was posted in People, Portraits and tagged civil rights, Fred Gray, Freedom Riders, Martin Luther King, Rosa Parks. Bookmark the permalink.